Like we did in the first example, we need to isolate the variable. Subtract 2/3 - 2/3, which results in 0. Then, also subtract 5/6 - 2/3, equalling 1/6. The equation is now 1/6 = x. 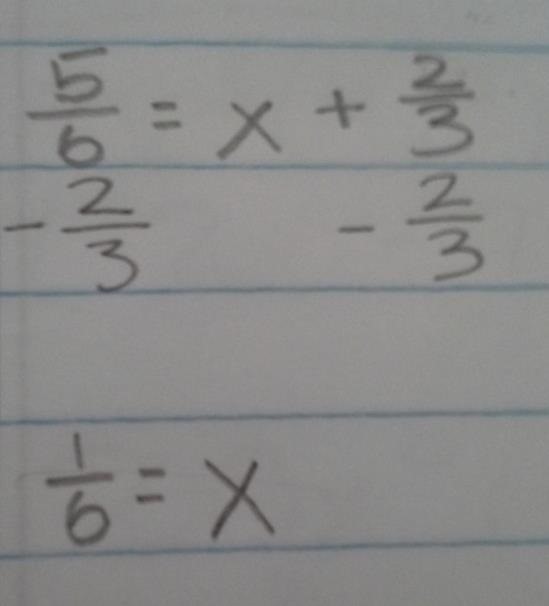 Since 1/6 can't be simplified, 1/6 = x is the final answer. Before we do anything at all, to make it easier on ourselves, we must convert all mixed numbers into improper fractions. The only number we need to convert is 3 1/4 and as a improper fraction, it is 13/4. The current equation is now 13/4j = 3/2. 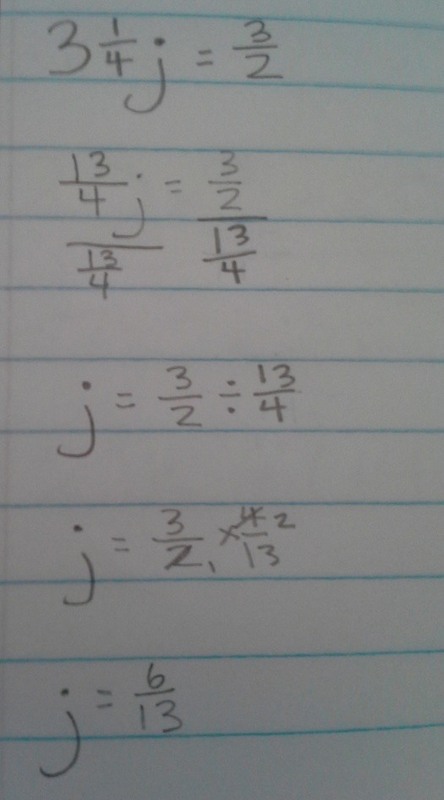 Again, we need to isolate the variable so we divided 13/4 by 13/4. 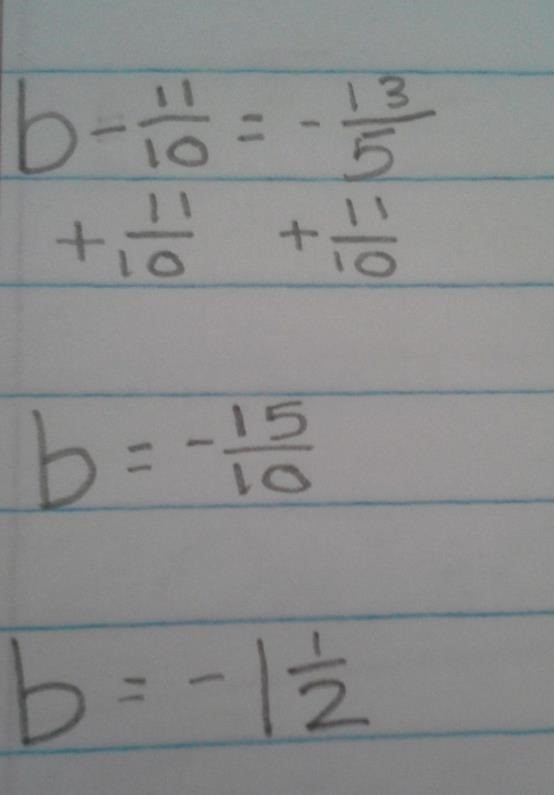 On the other side of the equal sign, we do the same thing by doing 13/4 divided by 3/2, which is 6/13. We finally found out that j = 6/13 and that this is the final answer since 6/13 can't be simplified.